The supermarkets and grocery stores of today are nothing like the shops they used to be. Instead of the small stores of yesteryear, supermarkets have grown in the last few decades, to essentially become department stores full of food. They include produce sections equipped with hydration sprinklers, delis serving carved meats, bakeries boasting multiple ovens, and counters offering freshly caught seafood, as well as enormous refrigeration and freezer units that take up entire aisles, in addition to the units kept behind the scenes, along with offices and other administrative space. Founded in 1929, Buehler’s Fresh Foods owns 13 of these stores across the State of Ohio, and when anything goes wrong—from a broken fridge or busted toilet to a malfunctioning deli slicer—Becky Foster, vice president of maintenance, is responsible for finding a fix. 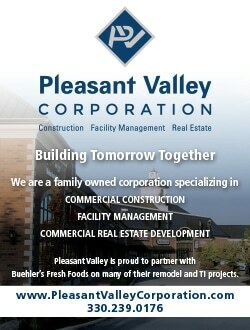 In addition to purchasing necessary equipment and overseeing issues, Foster is also the vice president of construction, meaning she manages both ground-up and build-out projects for Buehler’s Fresh Foods and tenants of the various properties owned by E&H Family Group. As of 2017, E&H is no longer Buehler’s parent company, but its portfolio of properties still includes nearly two-dozen hardware stores, as well as retail plazas containing nail salons, real estate offices, martial arts studios and more. 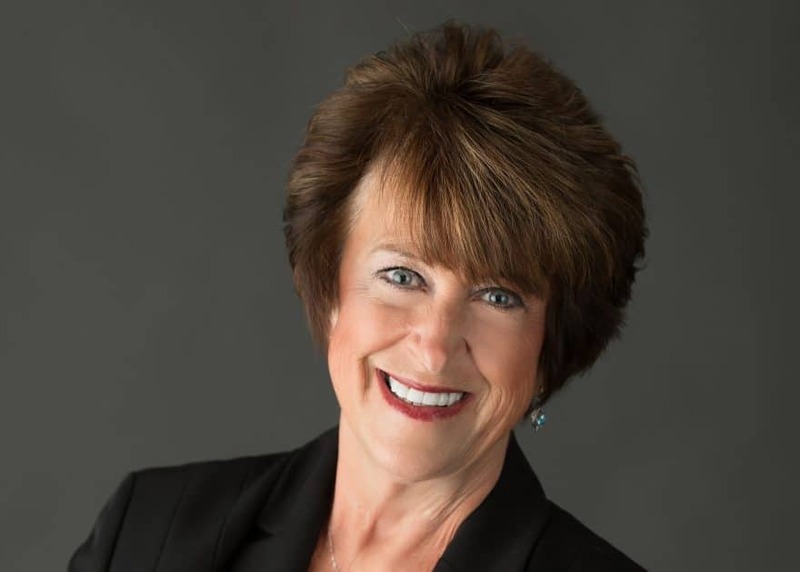 In 2013, Progressive Grocer named Foster one of the top executive women in grocery, thanks in part to her contributions to the EPA GreenChill Partnership, a program that monitors and reduces leakage of refrigerants into the atmosphere. “That was a fabulous victory,” Foster beams—and a surprising one, too. “There are thousands of grocery stores and thousands of women in the grocery industry across the country—to win one of the positions in that field was a great honor.” The honor is especially meaningful because she was nominated by an anonymous competitor from another grocery chain, and the fact that being a woman in this field hasn’t always been easy. Fresh out of high school, Foster immediately entered the engineering and construction industries—a rarity in the 1970s and 1980s, when chauvinism ran rampant on the male-dominated construction sites at which she frequently found herself. “I was young and female, and neither one of those should have been on a construction site, to a lot of contractors,” Foster says. That didn’t deter the young engineer, who had been enamored with the discipline since taking a perspective building drawing class in high school, and learning how to draw on vellum to create blueprints shortly after in vocational school. In order to encourage the next generation of women to enter the field, the vice president has been a mentor at the local Wayne County Schools Career Center for decades. Possibly due to the efforts of mentoring professionals like Foster, there has been an increase in the number of women engineers since the early days of her career. Although a modest 14 percent of all professionals currently working in the field of engineering are women, according to the Congressional Joint Economic Committee, this is a significant improvement over the 5.8 percent figure in the ‘80s. Foster’s mentoring success stories aren’t just limited to women, she reports, as a lot of good, young, male high school students worked for her when she was at Rubbermaid, the first company that hired her after she graduated from the University of Akron with a bachelor’s degree in construction and surveying, and a place at which she worked for 23 years. “We would hire draftsmen from the career center, and I’ve seen a number of the young high school boys who I mentored pursue engineering degrees and go on to be in the construction business,” she says. Foster is quick to downplay her many roles, saying she’s simply someone who enjoys designing buildings, solving problems and accomplishing the end goal of any project—be it on the construction or maintenance sides. She also points out that she doesn’t have all the answers, and understanding that fact has been a key to her success. For construction, the challenges mostly involve staying on schedule and on budget, Foster says, and issues can be avoided when her team makes sure they are given a good set of prints from the architectural firm. She learned this when designing manufacturing facilities with Rubbermaid, a Fortune 500 company that constructed buildings using its own prints. “If it wasn’t for all of those projects, I wouldn’t have been able to handle the intense details in the grocery store projects,” she adds. And supermarkets can be even more challenging than manufacturing facilities because of the details packed into every square foot. Foster says there’s no better feeling than completing a job. But why has she stayed at Buehler’s for nearly two decades? Working for a family in the small, close-knit community of Wooster, Ohio, Foster responds. Although Buehler’s is a large company, it feels and operates more like a small business, she says. In fact, she didn’t immediately realize its size when she was hired, as the family operated away from the public eye. “You become part of the team,” Foster explains—and part of the family, too. Even though Buehler’s Fresh Foods is now owned and operated by its employees as an ESOP company, the vice president says this still rings true.